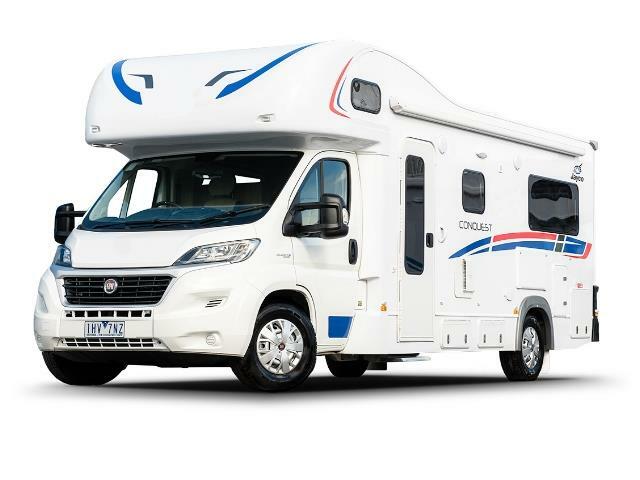 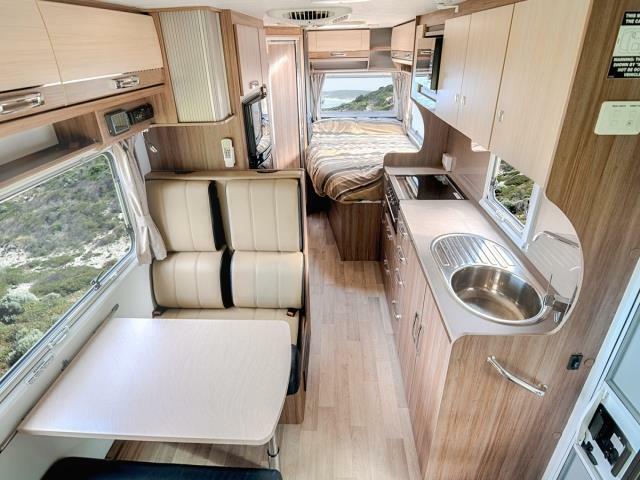 6 Berth Conquest Tourer is the answer to the family roadtrip. 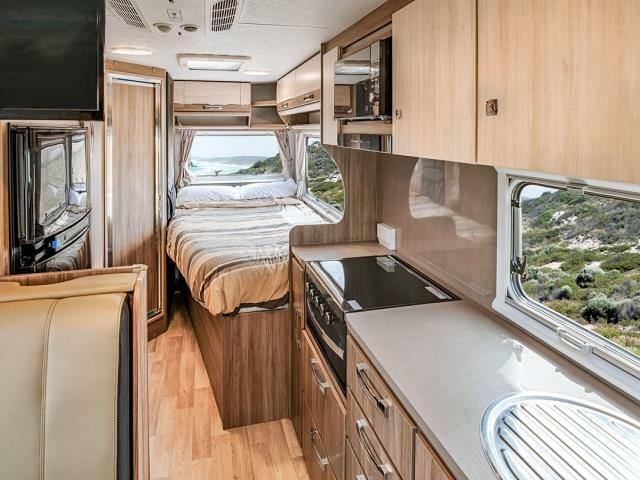 This motorhome features 3 double beds, a large 2 door fridge/freezer with plenty of freezer space, TV/DVD, and solar panel for charging the house battery. 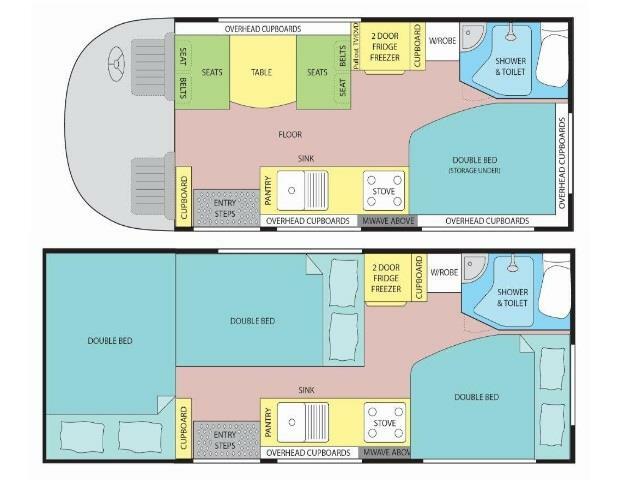 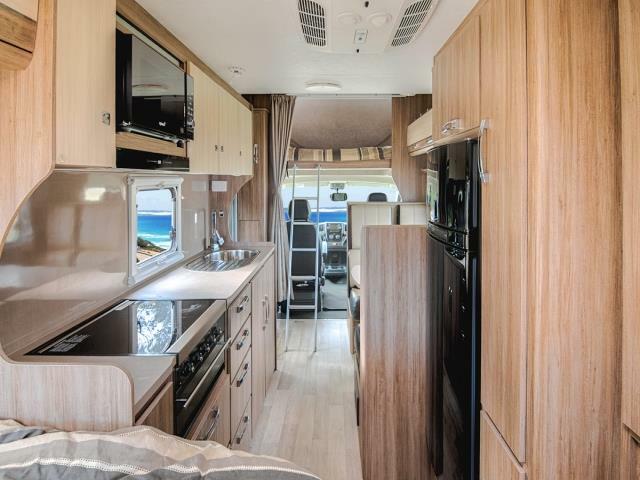 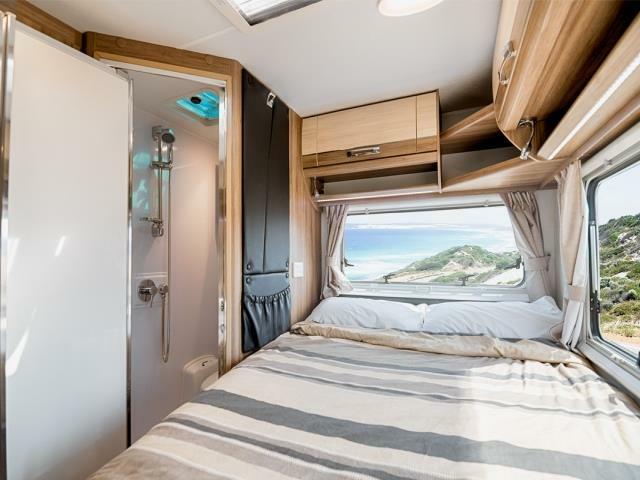 Other features include 240V airconditioning for the rear of the motorhome, microwave, large stove with 3 gas burners and 1 electric hob and a griller. 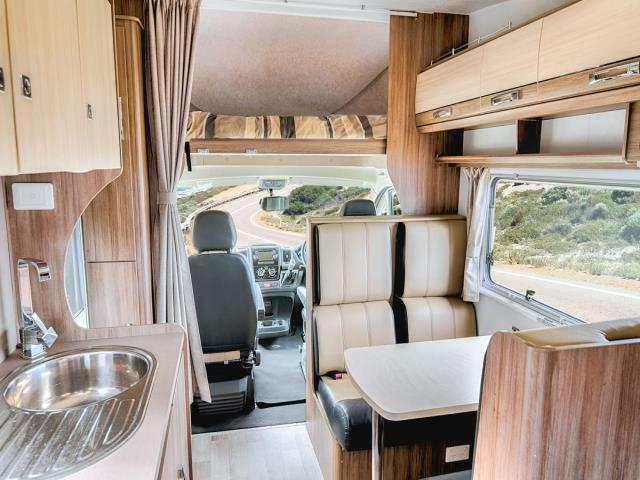 The smooth leather upholstery and energy efficient LED lighting throughout makes for comfortable living for life on the move. 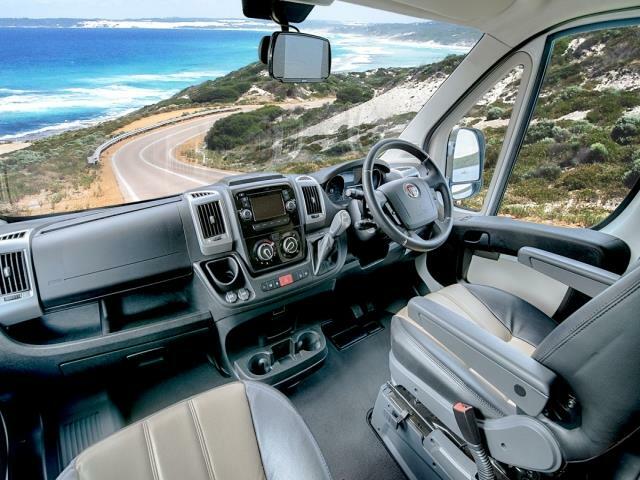 A standard car licence is all that is required to drive this model.